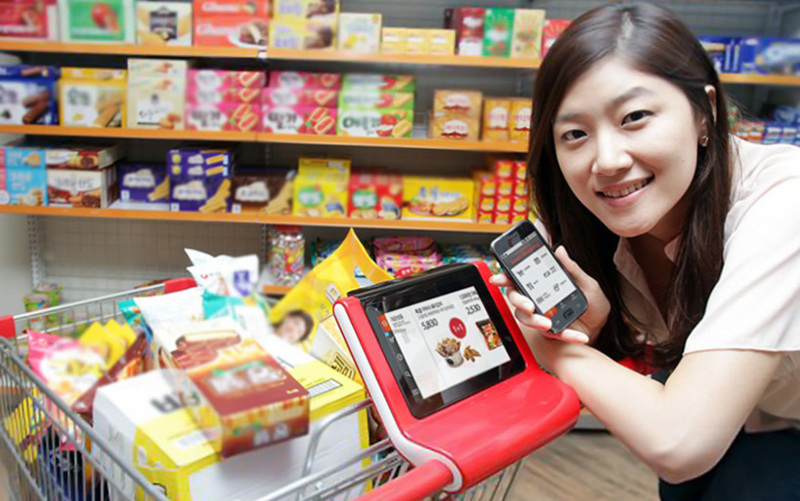 Quite possibly the dream for an extreme couponer, SK Telecom launched a test program of grocery carts with a tablet computer mounted on the handle at China’s Shanghai Lotus supermarket. After a user downloads the free “smart cart” application to a smartphone, the tablet PC on the cart is synced to the phone. On the smartphone app, users can create a shopping list as well as search for store coupons, weekly discounts or product information. After syncing, the tablet has the ability to guide the user around the store and highlight the products on the shopping list. The tablets are networked through the store’s Wi-Fi and uses indoor positioning technology to alert the consumer of products and discounts as they come within a few feet of the product. It also provides an in-store map that guides the user around the store to locate everything on the shopping list. In addition, real-time updates can be sent to all carts at the same time. If these smart carts were rolled out at K-Mart, for instance, people could be alerted about a Blue-light special through the video screen rather than over the intercom. When the consumer goes to check out at the register, the tablet screen offers up the complete list of purchased items, price paid, membership points earned and discounts applied. 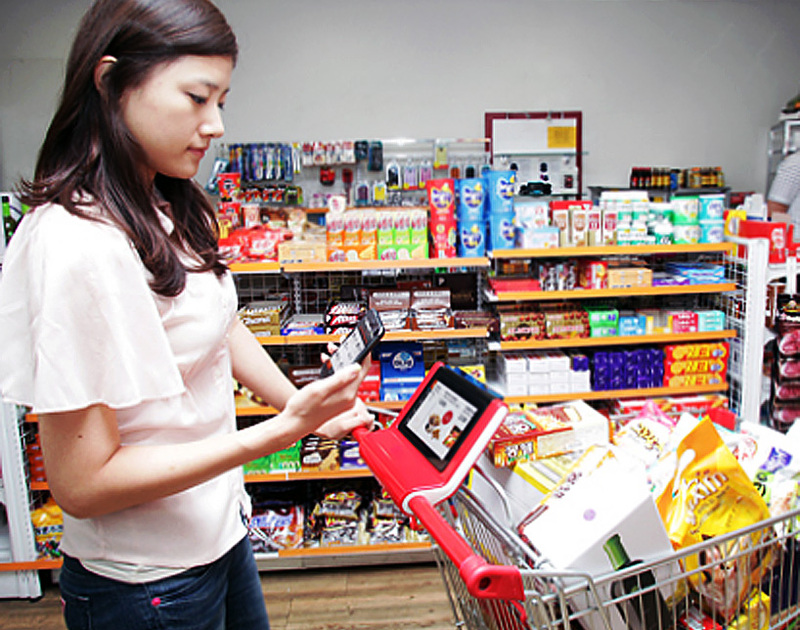 An additional roll-out of this new technology is planned for Korean stores by the end of the year. There are no announced plans regarding bringing this technology to North America or Europe. While the tablets appear to be removable, there’s no indication that the device would be able to resist inclement weather and carts would likely have to be stored indoors. The tablets would also have to be resistant to the hands of children as the placement is very close to the child seat on carts.